Visit our welcome centre to purchase your tickets! Follow us for the latest on news and events! 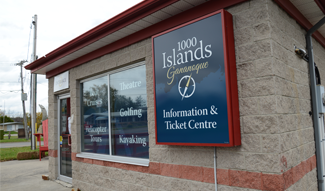 Make planning your next trip easier with exclusive information about attractions, events, accommodations and deals in Gananoque and the 1000 Islands. With over 850 rooms, find accommodations to suit your desires. © Copyright 1000 Islands Tourism. All rights reserved.